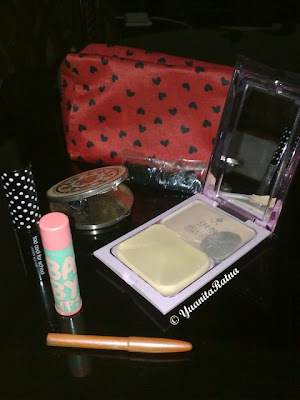 Eye Candy for Ladies ♥: What's in a girl's pouch? Certain girls has some problem with the word "Simplicity", so do I. During my sophomore period, I was the kind of girl whose half of the bag's content was make-up. Being over-dressed made me realize: "Geez, if I went to Paris, the Parisian girls would laugh at me". Therefore, I'm learning on the principle of simplicity from Oscar Wilde - "Life is not complex. We are complex. Life is simple, and the simple thing is the right thing." 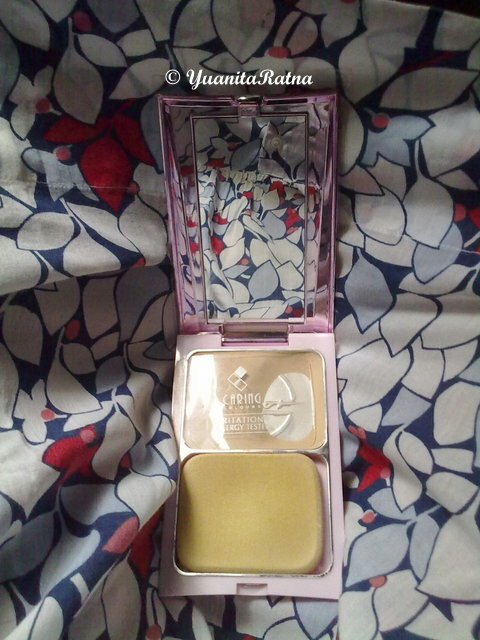 Here she goes: My make-up pouch. I heart this red bag. 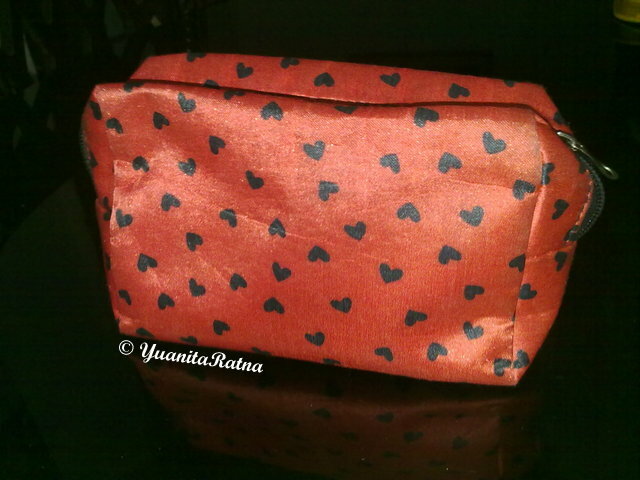 Actually, it's a goodie bag from a Magazine :P but despite it's origin, I do love the model and heart patterns. It fits exactly the right amount of make-up needed in my bag. Before applying the TWC, I put on gobs and gobs of moisturizer from brand Olay. 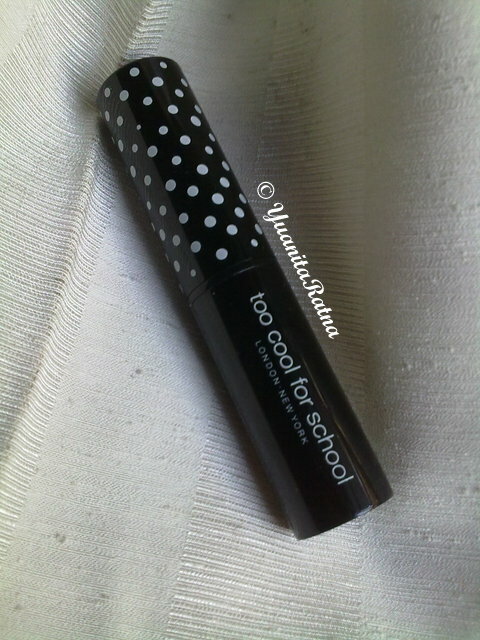 It has non-sticky and non-greasy formulas: perfect for my combination skin, too bad I forgot to snap the picture. I've already tried so many TWC from well-known Brand such as Body Shop to Revlon, but Caring TWC wins my heart and also my skin attention. Yet it costs around Rp. 45.000,- or US$5, Caring is a product from the famous make-up brand Sari Ayu which emphasizes the importance of having fun with your make-up while maintain your skin's health. Cool! No wonder they have cute yet modern packaging. Caring's TWC: It blends perfectly in my skin, whilst covers dark spot and redness. Maybelline's Baby Lips balm also gives lots of moisturizer needed for easily chappy lips like mine. 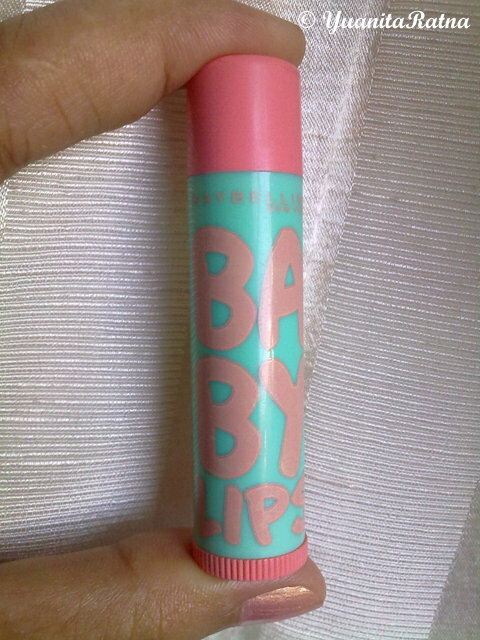 I apply it religiously to avoid any chappy lips. You won't worry no more to put any kind of color you're craving for. Now your lips are kissable, smooch! Oww...this eye-brow is must-to-go for Indonesian people. It's a legend. It blends perfectly with your brows, no streak lines (imagine yourself making a sketch in your face) and the price is unbelievably cheap (for Indonesian), only Rp. 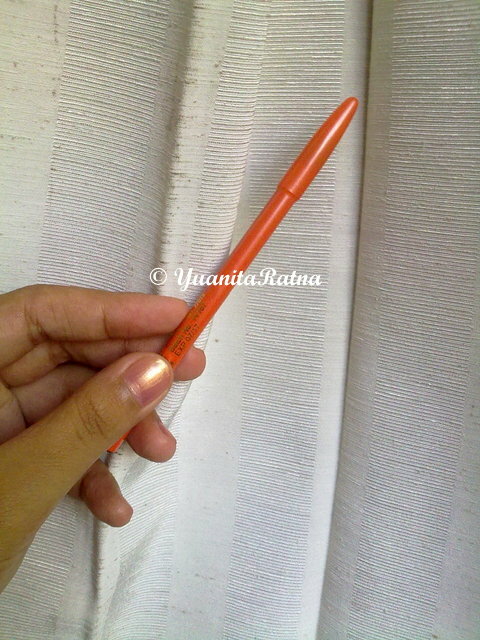 20.000,- for a long lasting investment around your eye brows. Even your mommy knows it.